Things are quiet in Olympia for the most part during this time of year. Legislators are back in their districts meeting with constituents and preparing for the upcoming 2018 legislative session. I want to thank everyone who has reached out to my office with their questions and concerns about our state’s future. I’ve spent the past few weeks traveling around the district to hear from you about your priorities. I have really enjoyed visiting our local schools, meeting with students and teachers to understand their challenges and see the exciting work going on in our classrooms. 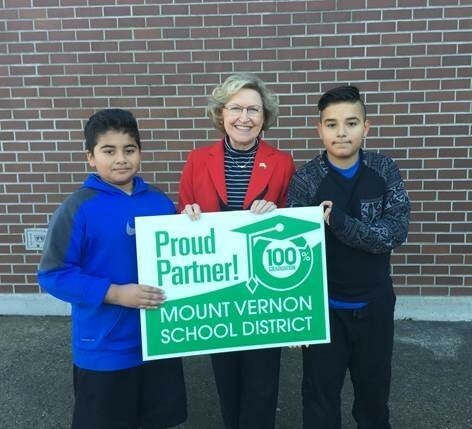 I recently stopped by La Conner Middle School and Centennial Elementary School in Mount Vernon. The students were so engaged in their course work and willing to share their ideas to make their education even better. I take moments like these to heart. Working in Olympia during the legislative session is like being in a bubble, but my real passion is representing you. Please feel free to reach out to my office with any questions or concerns you may have about your state government, or if you’d like to schedule a meeting or for me to attend a community event. I hope you have a wonderful and safe Christmas season and a Happy New Year! It is an honor to serve as your state Senator. What’s going on in Olympia? When the 2018 legislative session begins in January, we will only have 60 consecutive days to accomplish our work. The list of issues is growing, but since our caucus will be in the minority, we won’t have control over what policies will be made a priority. My hope is that our Democrat colleagues will continue to make education a priority the way our coalition has over the past several years. There is also some traction to address the Hirst decision, which was handed down in 2016 by the state Supreme Court. For those not familiar with this decision, the effect has all but halted development in rural areas of our state by placing high burdens to obtain a small, household well. The House Democrats finally have taken notice of the issue and held a work session just recently after failing to introduce legislation to fix the problem during the legislative session. The Senate approved a bipartisan bill four times this year, but each time the House failed to take up the measure. I want you to be aware of a new scam targeting consumers in Washington state. The Attorney General’s Office has reports of people receiving calls from scammers posing as the clerk from the state Supreme Court demanding payment and threatening arrest. Our courts do no operate that way and will never call you demanding money or to make threats. The callers can be convincing and even the caller-ID can make the call appear to be coming from the Supreme Court clerk’s office. Don’t succumb to their tactics; simply hang up the phone. 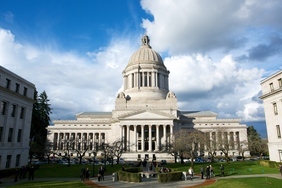 When meeting with other legislators or voting on bills in Olympia, I want to be sure that I am representing you. 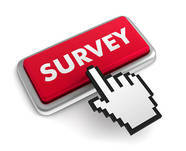 Please take a few minutes to fill out my brief survey and tell me what I should be focusing on. Click here or on the image to the left to take the survey. 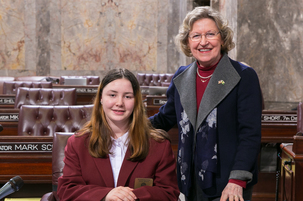 Every year I have the opportunity to sponsor a limited number of students to participate in the Senate page program. Young adults, between the ages of 14 and 17, have an opportunity to work in the Legislature for a weeklong experience unlike any other. Like a class, students learn about state government and the legislative process. For information on how your student can become a page, call my office at (360) 786-7618. It is a rewarding experience and I encourage you to apply. Visit here for more information on the program, and you can watch this informational video.